You can now download "Expert Oracle Database Architecture, 2nd Edition" book free from here. 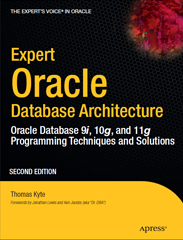 The author of book is Thomas Kyte who is the best expert in Oracle Database. It covers the development up to version 11g. You can download this book and enjoy by your time. Regarding my review it is the best book can learn you more details about database kernel and database programming. I posted Get Sequence Next Value in ADF. Today I will create function that returns sequence next value in OAF framework. Null Pointer Exception is the most common and most annoying exception in Java. In this post I want to avoid this undesired exception. We use a lot of editors to display source code of Oracle Database objects like Toad, PLSQL Developer, Navigator and SQL Developer and others. I have idea to do like this editors to generate source code of database objects (Table, View, Trigger, Functions, Package, Function, Procedure, ...... etc) using Oracle Database Data Dictionary views. 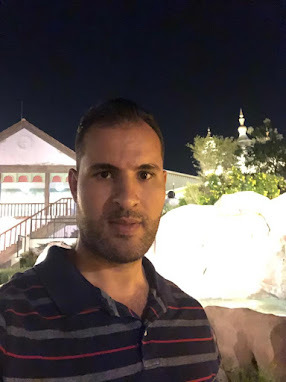 1-ALL_SOURCE view which contains source code of package, package body, function, procedure, library, type, type body,java source only. 2-DBMS_METADATA built-in package which contains procedure and functions that help me to get source code directly from database with less efforts. In tabular block in Oracle Forms, I want to discriminate between odd records with different color from color of even records alternately so the block in run time look like below image. The idea of this post is based on my previous post Highlighting Selected Records in Oracle Forms as I use visual attribute for every navigable items in block. I have tabular block in Oracle Forms, one of block columns is check-box. I will present how to print System.getProperties() in Java and call it from PLSQL. I can print output in DBMS Output Console or Java Console. Sometime when developing code in PLSQL, we need to trace time of execution in run-time. So I will create timer package to help us. Sometime in your code you want display array in string format. Expected result is to display array collection as string (scalar data type) separated by comma. Any array contains toString() method which returns informative only and doesn't contain any content of array. This function uses a lot of intelligence to sort strings. I depend on create PLSQL table indexed by BINARY_INTEGER which its index mapped to ASCII code of every character in my string and I store in table number of occurrence per every character. I need to execute commands from my code written in PLSQL. This package is available in oracle from version 10g. I noticed at a lot of application that developers used count(*) in their code repeatably. It returns 108 and takes 73 msec to execute. It returns 108 and takes 24 msec to execute. It return 108 and takes 25 msec to execute. It return 36 and takes 17 msec to execute. Note : Time of execution may differ in your machine. Someone may ask question : Why count(*) take time more than count(1)? The Answer : When I use * in select statement, Oracle internal treat it as Record Type. So it count against composite type and takes more time . While count(1) he counts against scalar type. Always use count(1) if you need to count in whole result set. Take care that count against column that has null values, He doesn't count null values. Previous function aren't available directly in Java, So I will develop simulation to them in Java. All functions return Object so you should cast it to your class in using. You can develop all important Oracle built-in function that don't exists directly in Java.